Announce your destination wedding in style with this save the date card. 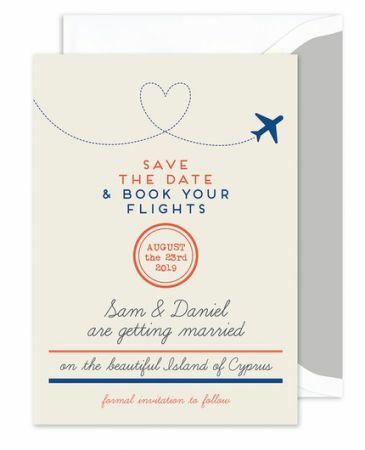 “Save the Date & Book your Flights” is printed in simple typography. Enter your custom details for a personalized announcement.